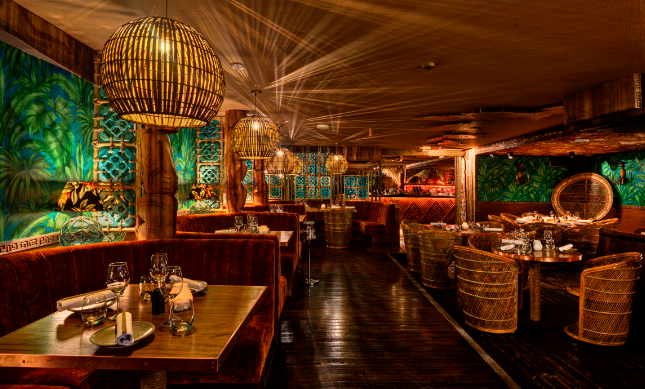 Celebrate New Year’s Eve in paradise this year at Mahiki Kensington, London’s party playland. 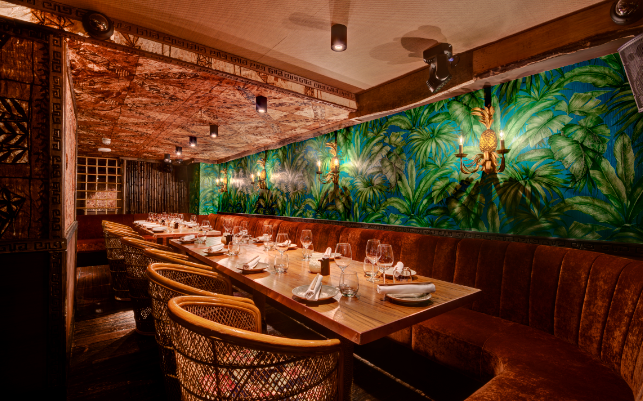 This popular hotspot is known for being filled with celebrities and flaming bottles, but this NYE it will outdo itself with an extravagant bash packed with amenities. 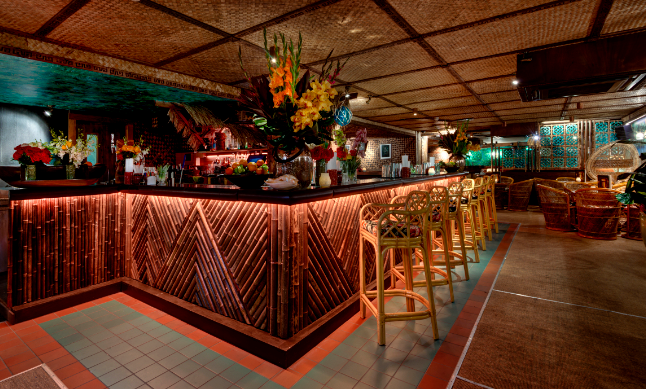 Enjoy a tiki bar, live DJ, champagne toast, and more this New Year’s Eve at Kensington’s famous tiki house. 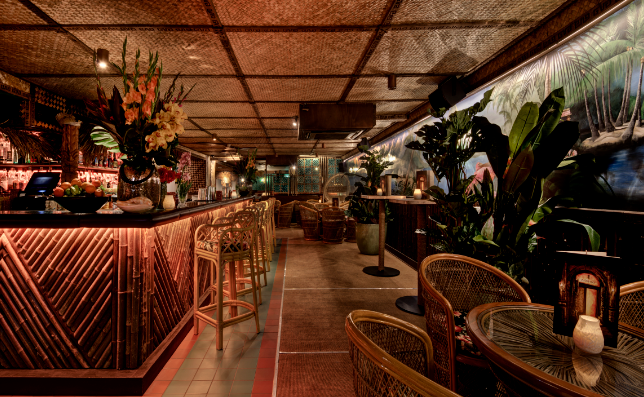 This bamboo-clad haunt is pulling out all of the stops this NYE. Head over to the tiki bar and sip on fruity libations all night long. Been waiting for a vacation? 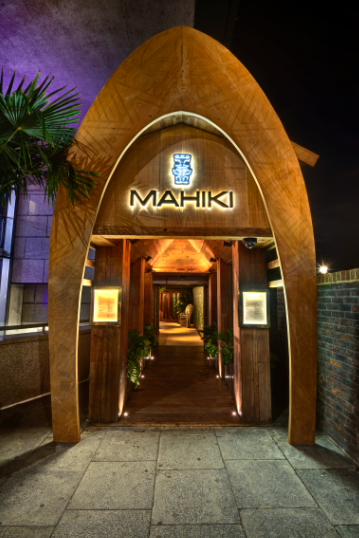 This is it – Mahiki’s owners have packed the space with lush greenery and fresh flowers that whisk you away to an island you’ve never been on before. 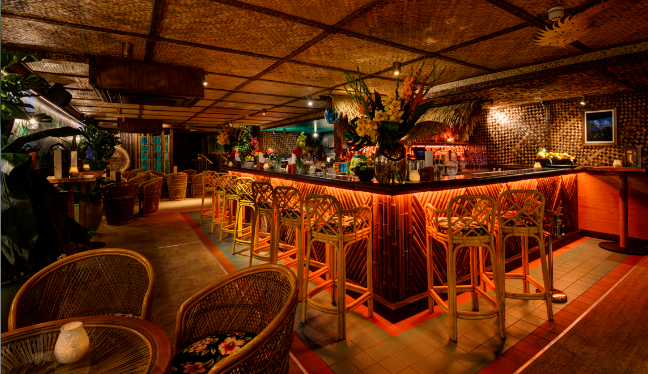 Count down to midnight with a live DJ that keeps the crowd’s energy at a ten all night long. When the golden hour arrives, enjoy crisp bubbly to celebrate the launch of 365 new days. VIP packages take the night up notch with perks like reserved seating, bottle service, and a decadent dinner service. 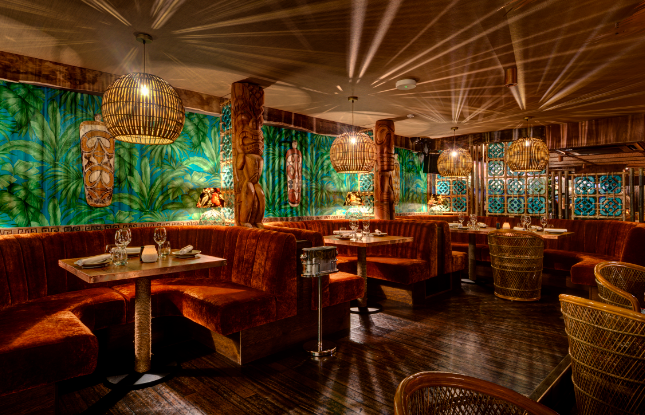 Bamboo furniture and ocean blue walls painted with palm fronds immediately transport you elsewhere at Mahiki. 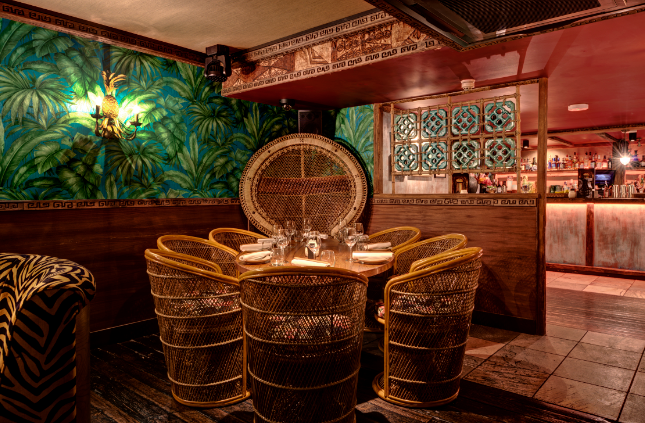 Even in the center of London, all you’ll be thinking about are blue skies and sandy beaches while sipping on a tiki cocktail here. 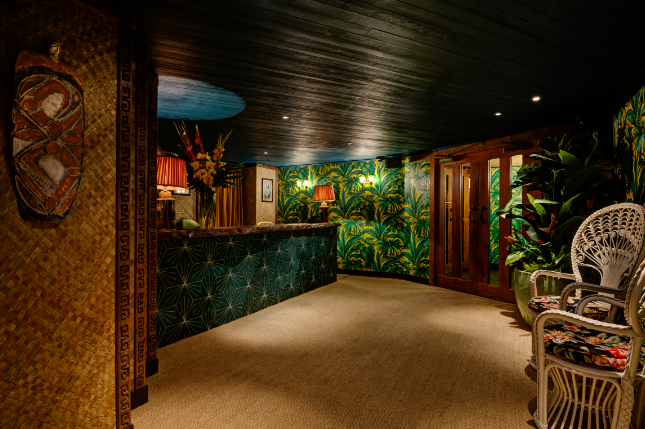 Celebrities adore the nitery and its sister location that came first, Mahiki Mayfair, which is nothing short of a legend. It’s parties like this that live on in talks for months afterward. 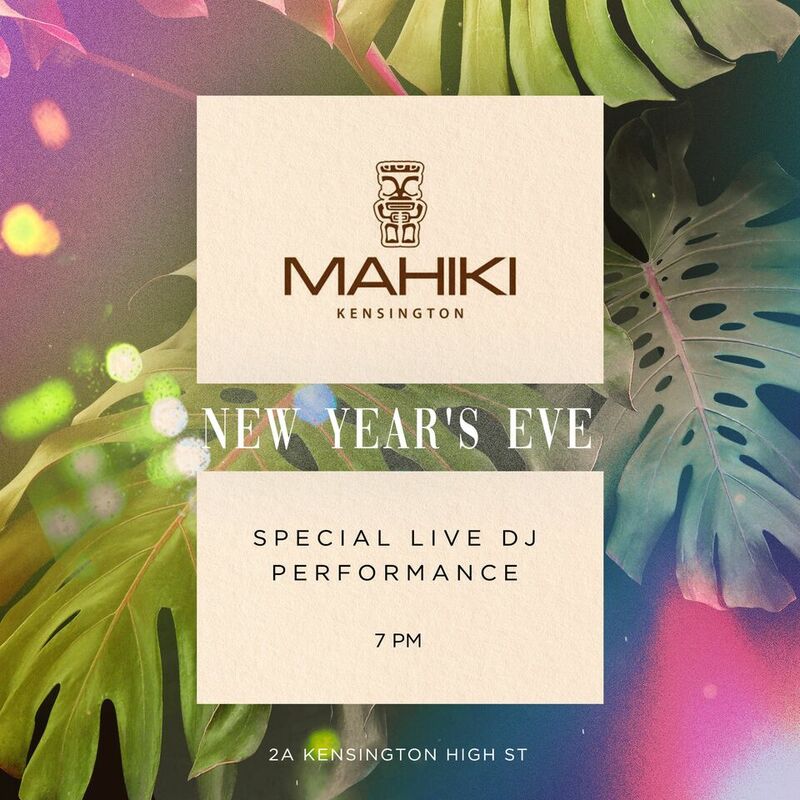 This New Year’s Eve, Mahiki Kensington promises to deliver a party that will blow the rest of London’s out of the water. Tickets are on sale now, so secure your spot at the most highly anticipated event of the year.